Drs. 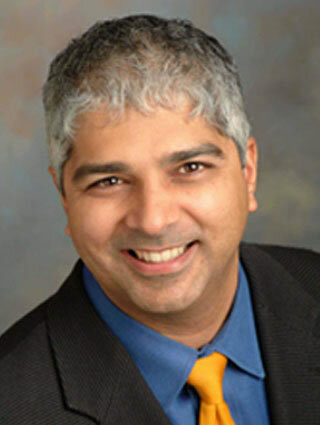 Shivji and Cartier are pleased to welcome Dr. Tony Gill to our practice. Dr. Gill is very skilled and experienced with dental implants, extractions, and both oral & IV sedation. He brings a great passion for excellence and provides us with the ability to perform all of these procedures in house. 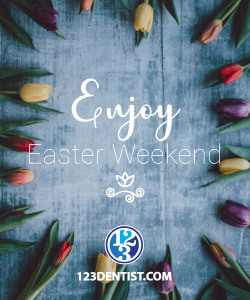 Dr. Gill has done much to assist in educating the public about dentistry, from being a featured guest on numerous radio and television talk shows to creating and hosting The Dental Show, a radio call-in program in Vancouver. He has been and continues to be an adviser, clinical tester and consultant for selected dental laboratories and dental materials companies. He is a technical adviser for dental office software. Dr. Gill has been performing difficult cosmetic and surgical cases since 1996, combining his expertise in orthodontics, restorative & cosmetic dentistry and implantology to create natural smiles. 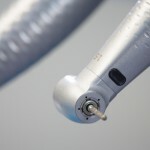 Dr. Gill has worked with 11 different Vancouver and Lower Mainland dental offices last year, performing extractions as well as placing implants, bone grafting and assisting dentists in learning about new implant and restoration techniques. 123 Kerrisdale Dental Centre is going through some exciting changes, with a new website and a new name; our clinic will be now be known as 123 Kerrisdale Dental Centre. However, the change we are most thrilled about has to be the addition of a new Doctor to our dental family, the exceptionally experienced Dr. Carmen Cartier. Take a few minutes and get to know Dr. Cartier and give her a warm welcome the next time you stop by. As a young child growing up in Northern Alberta, Dr. Carmen Cartier didn’t shy away from her visits to the dentist. “I loved my dentist,” she jokes over the phone. “He was blonde and blue eyed!” That was back in her home town of Falher in the early 1960’s, now known as the Honey Capital of the world. Falher was as small as small towns get by today’s standards, only recently having been incorporated in 1955 with a population under 1000. Named after a French Missionary, Falher was settled by many francophones, and to this day Dr. Cartier speaks fluent French. Eventually she would leave Falher for bigger things at the University of Alberta, but she never lost her affection for dentistry. “When I was in Alberta in school I was the only girl in a class of 50, and the youngest,” Dr. Cartier recalls. “I had a lot of big brothers, and as an only child it was a new concept. The guys were very accepting of me, but there was still some competition.” She remembers the experience fondly, despite having more in common with her fellow student’s wives. In 1970 the University of Alberta was required to have 6% of their programs filled by women, but the Dental program had fewer female applicants that met the strict criteria. Dr. Cartier explains, “I never got an interview, which was really surprising. I guess my marks were good enough and they liked my passport picture!” There were over 700 applicants and Dr. Cartier became the only woman, graduating 15th in her class 4 years later. She wouldn’t be the last. “I was in the last year there was only 1. The following year, there were 7 girls. After that it became more normal.” Dr. Cartier moved to Vancouver at the end of the program because she says, “You know when you’re 23, and the world’s your Oyster and I’d always been in Alberta, so I just thought, why not?” In 1974, Dr. Cartier joined a practice at 70th Avenue and Granville Street with Dr. Doug McGinnis. “He was a fatherly type and was very good to me as a young newbie,” she says. After practicing with Dr. McGinnis for about 10 years he retired in 1984-85 and Dr. Cartier purchased the practice from him. In her spare time, Dr. Cartier enjoys travelling. Having visited Europe, England and the United States she recently returned from a Safari in Kenya. “One of the things on my bucket list is the Galapagos Islands… another is China. Walking the Great Wall of China and seeing the Terracotta Warriors, that’s on my to do list.” She also works hard knitting as both a hobby and in support of the BC Children’s Hospital. “I knit purple hats for newborns to promote awareness of Shaken Baby Syndrome,” she says. It’s part of a program called The Period of Purple Crying, and you can learn more about it by clicking here. Your support means a world of difference to infants suffering from SBS. 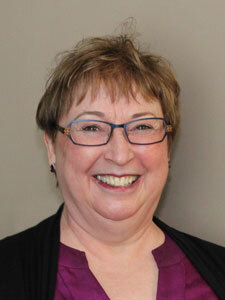 Dr. Carmen Cartier is a General Family Dentist with 30 years experience as a practicing dentist in Vancouver. Naturally we are very excited to have her join the Kerrisdale family and begin treating patients. As to what she loves most about Dentistry, “It’s the people contact. Being able to help people. And to try and make Dentistry as painless as possible,” she explains, adding “to me, there’s an art to the science of Dentistry, and I quite like that as well.” Dr. Carmen Cartier’s primary focus is restorative services such as crowns and bridges. Learn more about all of Kerrisdale’s services here. As for Dr. Cartier and her philosophy for modern Dentistry? “I believe in dentistry we wear two hats, a psychologist hat and a dentist hat. That’s what I try to be. It’s about helping people and making them feel safe with you.” Well said, and at 123 Kerrisdale Dental Centre, we are very excited to help put all our patients at ease with a personalized treatment plan. To book your appointment with Dr. Cartier or one of our other Dentists, call today! Feeling confident about your teeth is important if you want to go through life happy. Your smile is one of the first aspects that people notice about you, so the condition of your teeth has a big impact on how you interact with the people around you. When you feel confident about your teeth, you are more likely to smile freely. Here are a few tips that can help you to feel more confident about your teeth. Caring for your teeth properly is a great way to encourage a feeling of confidence about them. With proper brushing and flossing, your teeth and gums will look and feel healthier. As a result, you’ll feel more like smiling and less like hiding your teeth behind your lips. Make sure that you use an antibacterial mouthwash to help keep germs and plaque from developing on your teeth. The better your oral hygiene routine is, the more confident about your teeth you will feel. Making and keeping your biannual dental visits is a great way to begin feeling confident about your teeth. These visits are designed to identify existing problems, while also delivering preventative measures to help protect your teeth. After each visit, your confidence about your teeth will increase since you know that you have taken an important step to keep them looking great. Your mouth will feel cleaner, making you feel even more confident about your teeth. Having whiter teeth is often associated with how confident an individual feels. While you can have your teeth professionally whitened to remove stains and discolourations caused by the natural aging process and a diet that dulls the whiteness of your teeth, avoiding teeth-staining foods and beverages on a daily basis is a good strategy to use as well. You can also use whitening toothpaste to brush your teeth and a whitening mouthwash before bed. After a few weeks, you should feel more confident about your teeth as they begin to look whiter and brighter. Great smiles don’t come easy to everyone. Quite often, teeth need to be straightened or gaps need to be minimized to create the perfect smile. The Invisalign® process provides a user-friendly method to do so without being highly visible. Wearing Invisalign® daily allows you to improve the appearance of your teeth more quickly than using traditional braces, and it is less noticeable. If you are concerned that wearing Invisalign® daily can become problematic, don’t be. As long as you remember to follow your dentist’s instructions and a few tips, you should be able to enjoy wearing Invisalign® daily without any issues at all. If you want to continue wearing your Invisalign® daily without experiencing any problems, you need to take proper care of your teeth. You should continue brushing and flossing your teeth at least twice a day, removing your aligners to do so. Maintaining proper oral care is essential to prevent the growth of bacteria on your teeth and below the gum line. Since the aligners are easy to remove and place back on, you should have no problems at all keeping them clean. Just use the special Invisalign® cleaning kit or use a soft-bristled toothbrush and toothpaste to gently clean them. Rinse with water, and you’re finished. Wearing Invisalign® daily is easy when you keep them clean, because they feel great and don’t cause any type of painful infection. Each time you get ready to eat, just remove your aligners before you do. This helps to keep them clean, while also allowing you to enjoy the foods that you love. As a result, you’ll enjoy wearing Invisalign® daily because you won’t experience any restrictions in your day-to-day activities. Just because you are wearing Invisalign® aligners daily doesn’t mean that you can’t continue to do the activities that you love. You don’t need to do anything differently. If you play sports requiring a mouth guard, you can still wear one, just take off your aligner first and put it back on later. What is the Root Cause of Tooth Decay? Tooth decay is caused by bacteria, which live on the surface of the teeth in the form of dental plaque. Certain foods, such as sugars and acids, can speed up tooth decay. Let’s take a look at the process of tooth decay in more detail to understand the factors that contribute to it. Dental plaque is a soft film that forms on the surfaces of teeth. Plaque is composed of colonies of bacteria, which feed on sugars in the foods you eat and produce waste products that gradually wear through the teeth’s protective enamel coating. Holes in the enamel are known as dental cavities; they need to be filled as soon as possible to prevent the decay spreading through to the root of the tooth. Root decay is often painful and can mean that the tooth needs to be removed. You can remove dental plaque by brushing your teeth thoroughly every day. However, plaque that is left in place hardens into tartar, which is harder to remove. Visit your dentist to have the tartar removed professionally in order to prevent tooth decay and gum disease. Diet can play an important role in tooth decay. Acids can dissolve the enamel that protects the teeth and speed up the process of decay. Citrus fruits and tomatoes are quite acidic, but the most dangerous dietary sources of acid are soft drinks such as colas, which contain high levels of phosphoric and citric acids. The bacteria that are the root cause of tooth decay consume sugar. Every time you eat sweets or drink sugary beverages you feed the bacteria that live in your mouth, which is why dentists recommend that you limit your consumption of these sugars. However, it is not only refined glucose that you need to consider: oral bacteria can also feed on fruit sugars, lactose in dairy products, and more complex carbohydrates which are broken down to simple sugars by enzymes in saliva. If you do eat something sugary or high in carbohydrates, clean your teeth soon afterwards to brush away the bacteria. Cleaning your teeth regularly with fluoride toothpaste can help to fight against the root cause of tooth decay: the bacteria in your mouth. Because it is very difficult to completely eradicate dental plaque, you should also see your dentist regularly so that cavities can be filled and stubborn tartar removed. Is It Possible to Have Teeth Problems Even with Proper Brushing and Flossing? Unfortunately, you don’t keep generating teeth throughout your entire life. Once you lose your baby teeth, the permanent set is all that you are going to get. Therefore, it is extremely important to incorporate an excellent oral care routine into your life to avoid teeth problems. Daily brushing and flossing is an essential aspect of this strategy, but are they enough to keep you from developing teeth problems? Even though you brush and floss your teeth every day, you can still develop problems with your teeth. Some of the foods and beverages you ingest create acid erosion on your teeth, wearing off the enamel through a process known as demineralization. As a result, your teeth lose their enamel, making them susceptible to damage. 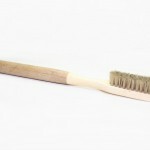 In fact, daily brushing creates an abrasive action that can strip away enamel that has been softened by acid erosion. Soda, fruits, juices, and wine fall into this category of acidic foods and beverages. While brushing and flossing is great for keeping your teeth clean, it is still possible for you to have teeth problems. Whether or not your teeth have become weakened by acid erosion, you can still chip or crack a tooth. Eating foods that are extremely hard (jaw breakers, hard candies, ice cubes) can break a tooth. Once this happens, you need to go to the dentist to have it repaired as soon as possible. Waiting too long can allow tooth decay to set in. If you continue to wait, a bacterial infection can occur, giving you even more teeth problems to worry about. Can You Have Teeth Problems Even with Proper Brushing and Flossing? As you age, your teeth become more susceptible to damage. This is partly because of the damage that has accumulated over the years as well as partly because of the alignment of your teeth or fissures in your molars. Teeth that are crooked are more difficult to clean, so cavities can develop more easily. Deep crevices in the molars can hide food debris even though you brush regularly, possibly leading to teeth problems. Can a Pacifier Cause Dental Problems? Pacifier use has become an integral part of raising a child. Most parents use them during the first year, and some parents allow their children to continue sucking on a pacifier for several years. This is partly due to the fact that this is a difficult habit to break. While there are beneficial aspects attached to this practice, many people are beginning to wonder if pacifiers cause dental problems. How Do Pacifiers Cause Dental Problems for Babies and Toddlers? The constant sucking motion occurring during pacifier use presses it up against the teeth, pushing them out of proper alignment. In particular, the upper teeth are more likely to tip forward toward the upper lip when pacifiers begin to cause dental problems. The front teeth on the bottom begin to tilt in due to the pressure applied by the continual sucking of the pacifier. This is the most common way that pacifiers cause dental problems. Unfortunately, it can also create changes in the shape and condition of the roof of the mouth. If a child uses a zealous sucking motion, pacifier use can cause dental problems arising from the mouth constantly being locked in one position. In severe cases, the upper and lower jaws can become severely misaligned, leading to bite issues and pain. The roof of the mouth might also become misshapen with a narrowing effect caused by constantly sucking on the pacifier. At What Age Should Children Stop Using Pacifiers before It Causes Dental Problems? Since pacifiers cause dental problems after the age of two, many pediatricians and pediatric dentists recommend that children stop doing so by the second birthday. Before the age of two, the damage created by pacifiers causing dental problems is easily remedied simply by eliminating access to the pacifier. 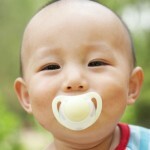 How Do Pacifiers Cause Dental Problems for Older Children? If your child is still using a pacifier when the permanent teeth begin to emerge, bigger issues arise. Pacifiers cause dental problems that aren’t easily remedied in children age 4 and up. Stopping pacifier use at this age doesn’t promote the return to proper alignment, and your child will be faced with poor positioning of the teeth. How Can I Overcome My Dental Phobia? If you have a fear of going to the dentist, you are certainly not alone. Quite a few people fear dental visits more than anything else. If you are one of the people who experience anxiety when you think about going to the dentist, you should discover how to overcome your dental phobia before it destroys your teeth. Just because you have a strong fear of going in for dentistry procedures doesn’t mean that you can’t overcome your dental phobia enough to allow you to go. You can do something about it by admitting it to someone else who can help you overcome your dental phobia. Seek this help by going to a caring provider who has the skills to address your emotional needs as well as your dental ones. While the task before you is not an easy one, it is essential if you want to overcome your dental phobia in order to be able to visit a dentist on a regular basis. Choosing a dentist who specializes in treating patients with a strong fear of the dentist chair is not a straightforward task. While many dentists advertise that they cater to fearful patients, you need to speak with several until you find one who seems to understand how to help you overcome your dental phobia. Dentists who take the time to talk to you over the phone rather than going through their receptionist are more likely to take the time to help you overcome your dental phobia. Initially, you are still going to feel some anxiety. The trick is to keep it from reaching the point where it prevents you from actually making it to your appointment. Schedule an early morning appointment so you don’t have all day to worry about going. Wear comfortable clothes that make you feel good about how you look. Bring along your music device and headphones so you can keep yourself distracted while waiting for your turn. Tongue and Lip Piercings and Oral Health: What Are the Side Effects? It’s a popular trend lately to pierce your tongue or lips. Yet are there potential side effects? What are the consequences of oral piercings for your mouth? According to dental experts, there are health risks associated with lip and tongue piercings. The health risks may affect oral health as well as general health. Damage to teeth is a serious risk associated with piercings of the tongue and lips. First, lip and tongue jewelry can chip or crack teeth. They can also damage fillings. Furthermore, the piercings can affect eating. Oral jewelry, the mere presence of it, can lead to an increase in the mouth’s saliva production. The excess saliva can cause problems for both chewing and swallowing. 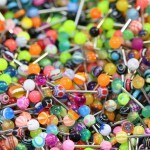 The gums are at increased risk from oral piercings, too. Oral jewelry contains metal; this metal can cause the gums to recede away from a tooth or teeth. Biting down on a jewel may scratch or even cut the gums causing them to bleed and leaving them prone to infection. Oral piercings can cause other problems for health. Piercings can strike a nerve and lead to nerve damage. This nerve damage can lead to a numbed tongue—a quite common practice. Often this is a temporary problem; however, the nerves in the tongue can also be permanently damaged. This damage can prevent a person from moving their tongue and even tasting. Oral piercings can also leave the body prone to infection, particularly since many types of bacteria are contained in the mouth. Piercing sites are especially prone to infection. More seriously, diseases like Hepatitis B and C have also been associated with piercing sites. Hepatitis, of course, can lead to serious complications. From systematic infections to cracked tooth syndrome, oral piercings can lead to significant oral and general health problems. Both dentists and doctors have encountered these problems that have been documented in major medical publications in Canada and abroad. While trends come and go, some of these problems can be permanent. To ward away the risks, it’s safest to avoid piercing your lips and tongue.